Two men have been banned from a Houston gun range for life after one pointed an unloaded gun at the other while taking a picture. 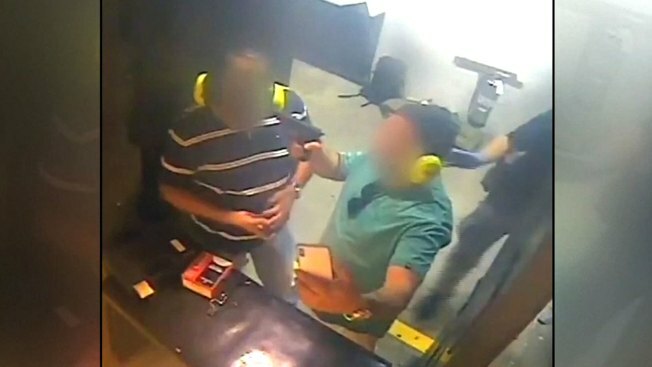 Top Gun Range manager Kyle Harrison tells television station KTRK he was alarmed when he saw the one man point the handgun at himself then at his friend's head while he took a selfie. The safety officer broke it up and ejected the pair, and the gun range posted surveillance video of the incident on Twitter. Harrison calls the act "a cardinal safety violation," adding that his children "know better than to do that, and they are two and three years old."